Alzheimer’s disease and neurodegenerative diseases: what challenges for tomorrow? Mossakowski Medical Research Centre of the Polish Academy of Sciences, Institut Français de Pologne, Polish Academy of Science and French Embassy in Poland are pleased to invite you to the Polish-French scientific Conference “Alzheimer’s disease and neurodegenerative disorders: what challenges for tomorrow?”, the 4th of November 2016. This conference will take place in the Mossakowski Medical Research Centre of Polish Academy of Sciences, MMRC PAS, will gather French and Polish scientists, and will be held in English. Two French senior speakers, Prof. Philippe Corcia and Prof. Luc Zimmer, and two Polish senior speakers, Prof. Tomasz Gabryelewicz and Prof. Konrad Reydak will give lectures, as well as 4 junior speakers from France and Poland (Dr. Michalina Wężyk, Dr. Anna Barczak, Dr. Olivier Nicole and Dr. Raphaëlle Pardossi-Piquard). A posters session will also allow all the participants to exchange about their work. The abstracts of lectures and posters will be published at Folia Neuropathologica, 4/2016. 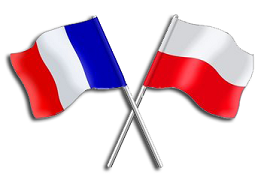 The French Embassy in Poland is providing 20 grants of 400 zl for young scientists from Poland who will attend the conference. These grants will be attributed to 20 first registered young scientists (under 45 years old) working outside of Warsaw and who will present a poster in order to finance their transportation and accommodation costs.